I must admit that I'm a bit of a sun cream snob. I know that the 'own brands' probably do as good a job at protecting my skin but the consistency, aroma and packaging always seem to be at least a season behind the leading brands. One of my fav suncare brands is Piz Buin, (I love their Once range, which once again was packed for this years holiday) and their new offering this year is the Tan & Protect range. In preparation for my honeymoon a little parcel of samples popped through my door. What sets it apart from a regular sun protector is that along with the UV filters the formula contains Melitan, which lab test have shown can increase the skins production of tanning pigment by 70%, meaning you develop your tan more quickly whist still protecting your skin from UVA and UVB damage. There is a range to suit your preference, a lotion, spray and oil each to be found in SPF 6, 15 and 30. The oil is my favourite (currently pictured on my lounger!) as it gives the skin such a gorgeous gleen and makes you feel more bronzed beach-side. 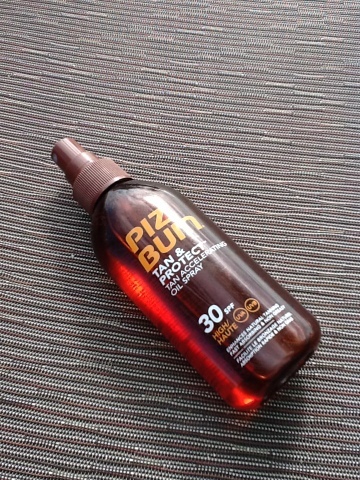 All of the benefits of getting a fab tan without the guilt of applying a low factor, brilliant! RRP is £17.35 is and available from Boots and other leading retailers. For every woman there is an item in their cosmetic bag that they couldn't live without, for me this has to be mascara. Long lashes are the ultimate feminising facial feature and in my make up routine, the majority of my time and efforts are spent combing on my favourite mascara, getting the maximum length and volume whilst trying to prevent overdoing it and ending up with tranchula lashes. On previous holidays I have used DIY semi-permenant lash extensions or had a beautician apply them for a small cost I'm not a massive fan of waterproof mascara. however, I've ways been curious of the 'permenant' lash extensions that can last up to 3 months (with manitanence) so pre-wedding, and more importantly, pre-honeymoon I gave them a go. I've heard horror stories of therapist using superglue on their clients lashes resulting in terrible reactions, so I went to one of my favourite, and most trusted salon, The Little Palour in Weybridge a month befor my big day, so if I hated them or got a bad reaction I had plenty of time to sort it out. The application takes about an hour, with my therapist Natalie painstakingly gluing on each lash individually, applying approximate 40 lashes to each eye to creat a natural lash line with extra volume and length. I asked for a natural look as I had fears of looking like an extra from 'The Only Way is Essex' but I was assured that the range of lash thickness, length and curl is personalised to give you the look you're after. You do need to be careful with them, not applying mascara to your top lashes and delicately removing eye makeup with face wipes or cotton wool pads. I've used Queen Cosmetics Eye Make-Up Remover which is super sensitive (£14.50/50g) on cotton buds to remove mascara from my lower lashes and on pads to cleanse my eye lids and when I used my normal face wash I ended up getting lots in my eyes which is painful! You must also resist urges to pick the lashes off as this will also pull out your natural lashes! Which I managed to do a fortnight after my first application, so instead of having a 'top up' a few days before W-day I had to have a full set applied... Whoops! I have really liked them, you wake up looking a bit done up and poolside I've felt feminine whist being makeup free. However, they are a big financial commitment to keep up at around £50 for a full set every few months and £25 for a top-up approximately every 3 weeks. So I'm still deliberating if they are something I'm going to continue. What nail colour to go for on my wedding day had been plaguing me for months. 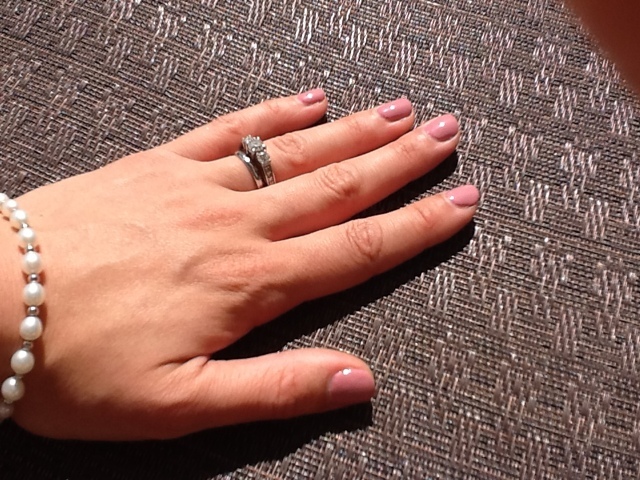 I had envisaged that I would go for a French manicure, timeless, sofistascated and elegant. However, I was also really keen for a shellac (if you read my blog regularly you will know I am obsessed with the gel nail-standard varnish hybrid) and the shellac French mani is the lest long lasting due to the layers of colours and I wanted beautiful nails on honeymoon. I also decided that I wanted a bit of colour on my nails rathe than going for a super pale pink, but nothing too bright detracting from 'the dress'. 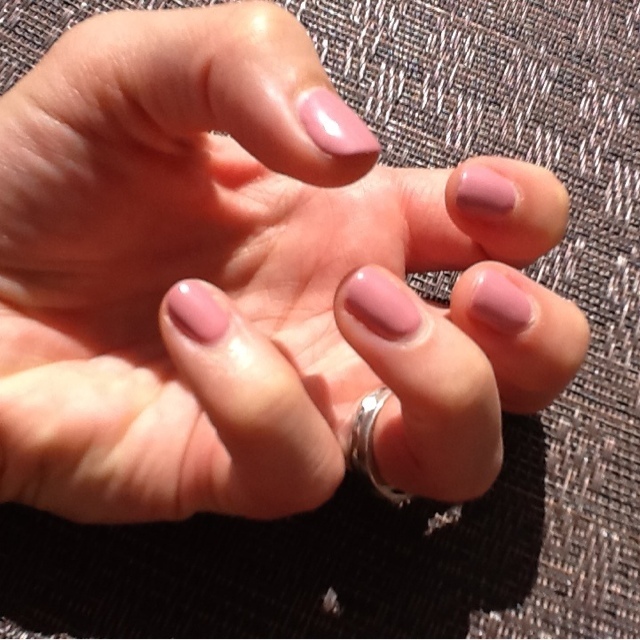 I eventually settled on rosebud, a muted pink, which tied in well with the vintage pastel bridesmaid dresses. 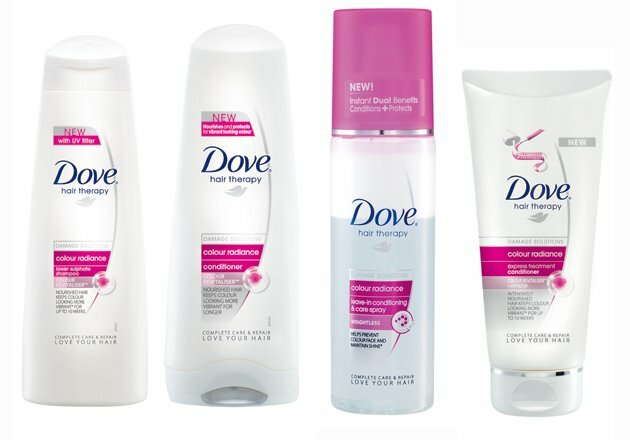 Back in my days as a media darling, I would be in a brainstorm about a new launch and inevitably at some point the Dove Real Woman campaign would be brought up as a textbook example of fantastic marketing. 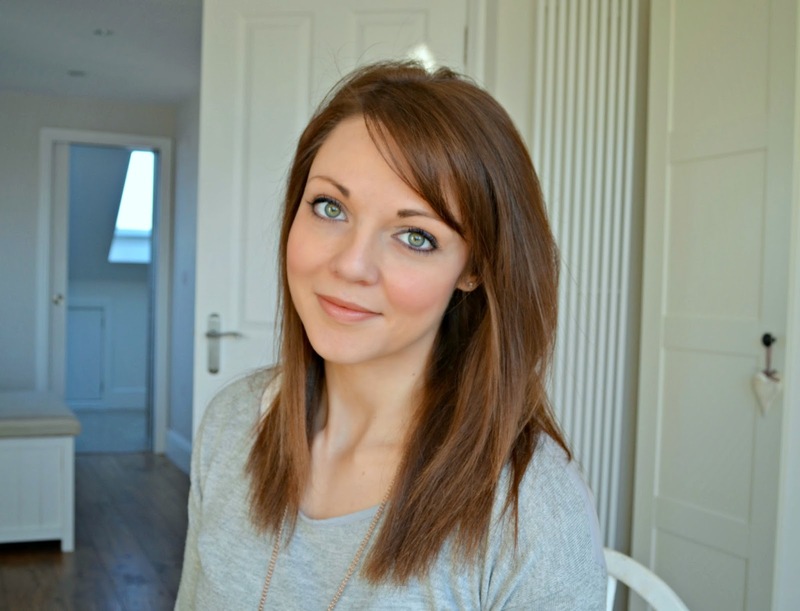 A few weeks ago (sorry wedding planning has slowed down my blogging!) 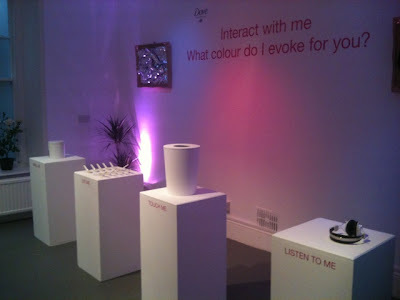 I was invited to an exclusive London venue to view Dove's latest TV advert and find out about their new Colour Radiance range. Marketing lovelies everywhere will be gripping their champagne flutes more tightly as Dove really have done it agin, the advert featuring blind Kate talking about how colour makes her feel was inspired. The Colour Radiance range Includes a shampoo, conditioner, express conditioner and leave in conditioner and care spray. 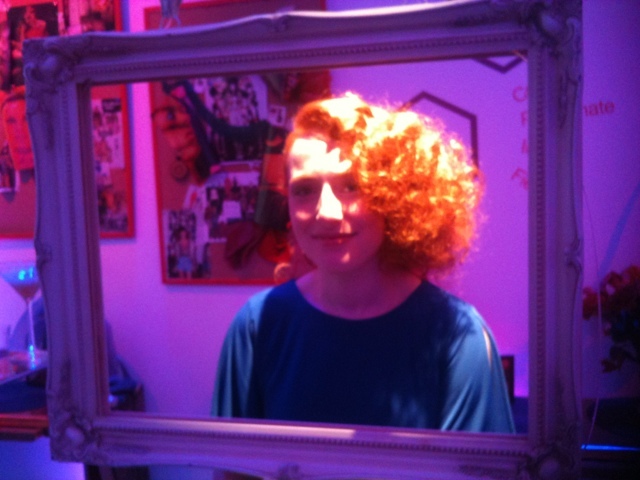 Since getting my hair coloured pre-wedding I've been using the products and been really impressed. They contain UV filter and Colour Revitaliser to nourish the hair and protect from fading, helping to keep the freshly coloured feeling I love. The shampoo has a low sulphate formula which means it delicately cleansers the hair without striping the colour away. My favourite product of the launch is the lightweight conditioning and care spray which I've used on wet hair after washing to give silky, shiny, tangle free locks without weighing them down, whilst also containing a UV filter. 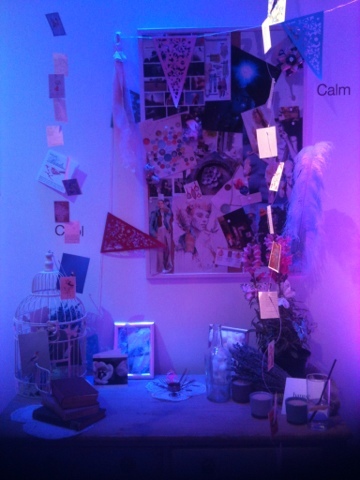 At the launch we were asked to use our senses to see what colours they invoked and choose a piece of fabric before swing what that the colour revealed about us in a beautiful display.